So in Japan usually at the end of each year (I think), stores release fukubukuro which are lucky dip bags full of random products from the store. Even clothing shops do this too so guess who is gonna be hitting the shops soon! 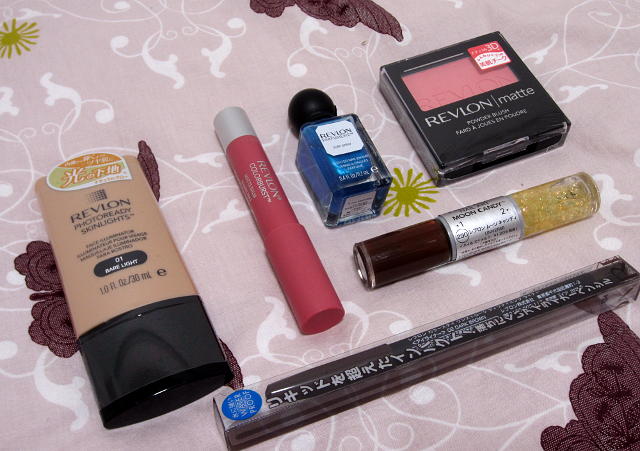 I picked up the Revlon one after watching Mimei's video about it (click HERE for the video, she's a Kiwi beauty guru/youtuber who lives in Japan). As far as I can tell comparing the contents of my bag to Mimei's, the only products that change colour in the Revlon Fukubukuro are the Moon Candy double ended nail polish, and the matte blush. I actually already have the Colour burst matte balm but it's one of my most used lip products so I guess it saves me buying another one! 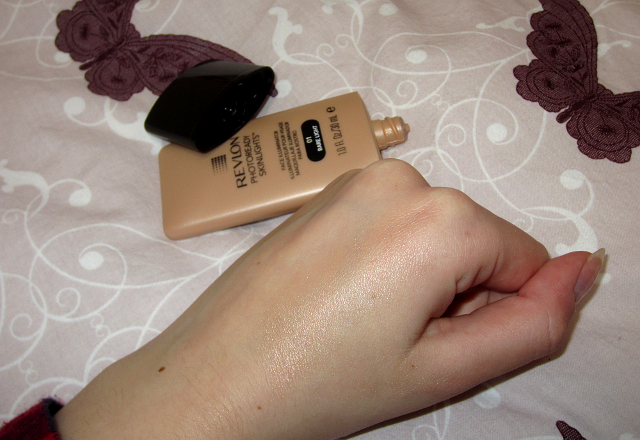 This product I'm kind of meh about as I really don't use highlighter at all unless it's on my brow bone, as my skin is super oily anyway I really like keep it matte. Also this was super hard to photograph because it's quite a subtle sheen. Who knows maybe I'll end up using it! 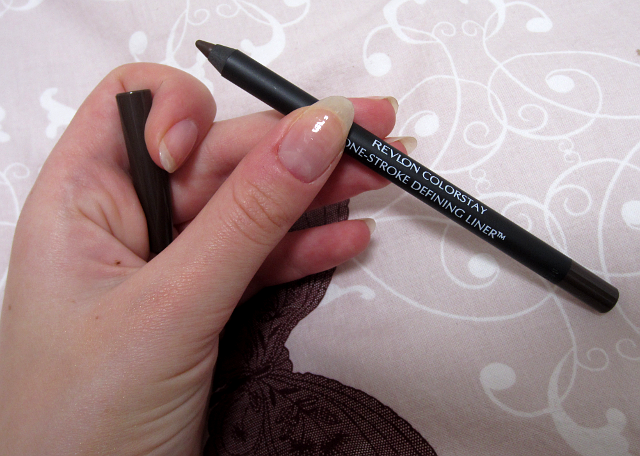 I think I'll get some use out of this, I don't actually own any dark brown eye pencils and it's super creamy and pigmented. The packaging for this plush is so cool! 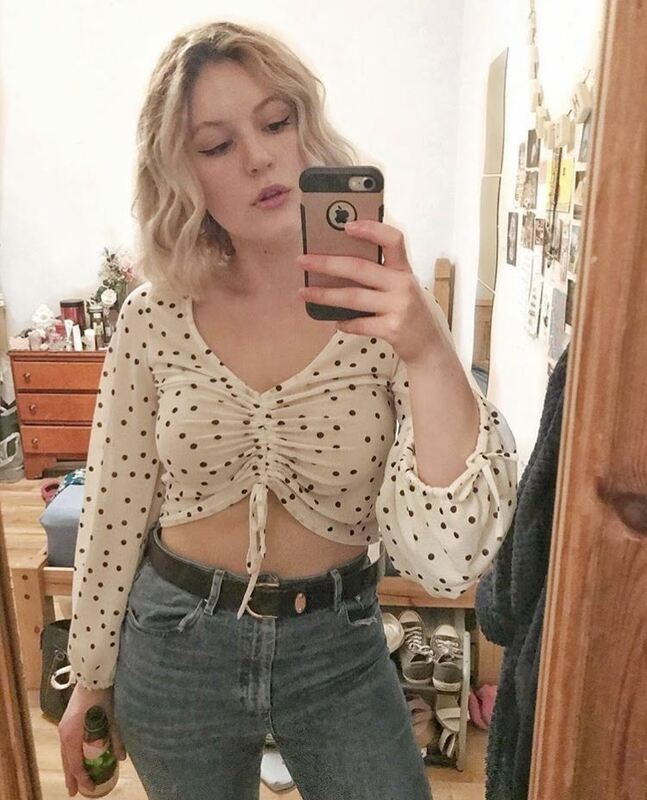 There's a little button and I was all ooh what does this do and a mirror pops out! The future is clearly here already. 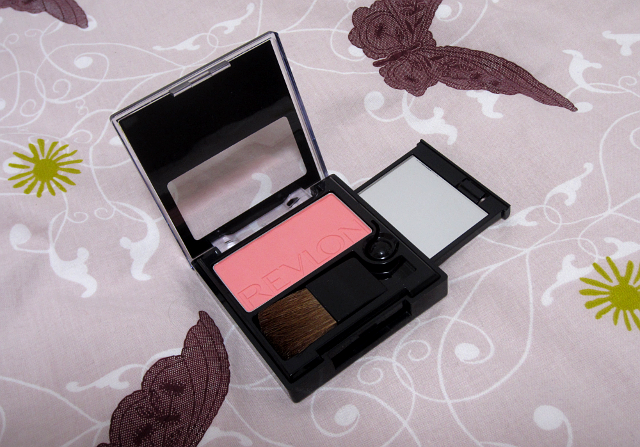 Anyway again blush isn't something I really wear but it's a very wearable colour and as I said I'm a fan of the matte look so I will probably wear this at some point. The Moon Candy nail polish colour I got is a bit weird but I actually think I'll get a lot of wear out of this! 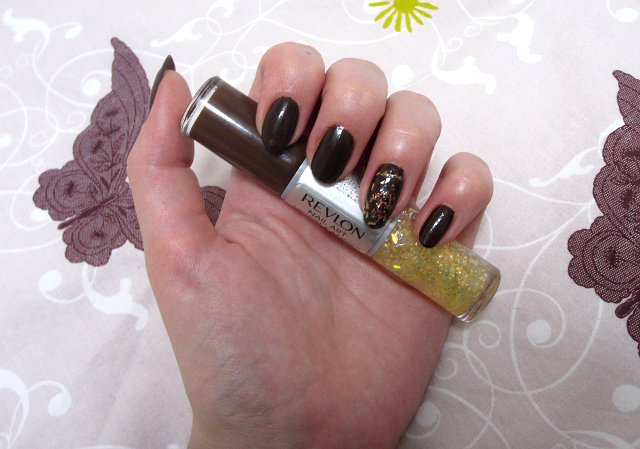 I would describe as kind of a tortoise shell efect, the glitter coat looks very yellow but gives you really cute gold/copper flakes. 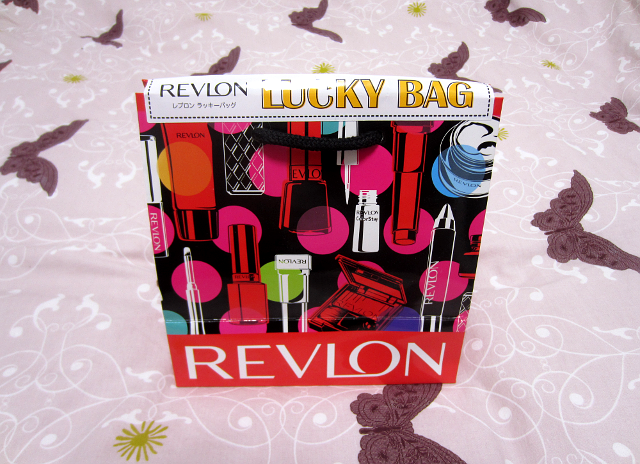 This bag cost me about 2000 yen which is about £12, and each product is about £6 each so it was a bargain! 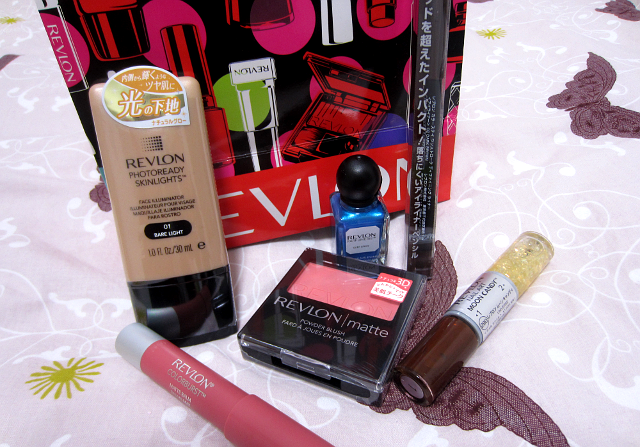 waah i love the things you got specially revlon items! I keep seeing this and getting really tempted to buy one. It's such a bargain when you think about how much everything costs individually. That nail polish colour is really nice on, in the bottle it didn't look so great. I have only tried the colourburst balms, which I absolutely love. oh looks like such a great bag, such good value for money too! Yeah was super cheap for what you get in the bag! Ikr I wish shops did them in the UK! Looks like some great products that I can find in Jakarta!